Ian';s song, ? 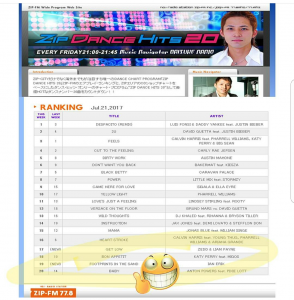 ;Footprints In The Sand”; has remained in Top 20 at Japanese dance radio all summer long since it debuted in June and this week has risen to #3! Look for the mashup of Ian Erix and David Guetta also hitting the airwaves in Japan this week!